GUITAR RIG is a complete solution for the modern guitarist – on the stage, in the rehearsal space, at home, and in the studio. GUITAR RIG combines highly advanced software and a sturdy hardware foot controller: "Rig Kontrol". 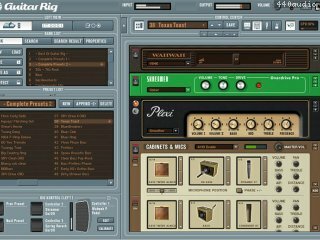 The GUITAR RIG software offers first-class emulations of classic and modern amplifiers, cabinets, microphones, and effects, letting guitarists easily create any guitar set-up imaginable. Recording automation data in hosts fixed. Note: The GUI must be open to be able to record automation data. Starts now at 1 after pressing stop. Completely revised foot-controller with seven foot-switches and a pedal, integrated USB 2.0 audio interface, MIDI interface and a headphone jack. Thus GUITAR RIG 2 is a complete, convenient "plug & rock" soft and hardware combination: Your computer, guitar (or bass) and GUITAR RIG 2 are all you will ever need! 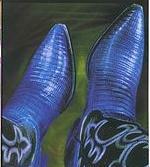 Five new guitar and six new bass cabinets as well as three additional bass microphones are included. Increasing the number of cabinets to a total of 25 and the number of microphones to 9. All components have been accurately modelled on legendary hardware equipment and their sonic characteristics boast a sonic quality that is barely distinguishable from the originals. Pro Filter: NI PRO-53 synthesizer filter – analog and simply fat! Cry Wah - new WahWah modelled after a famous hardware wah. The ultimate phrase-loop and overdub machine for layering up to 99 loops/layers. With unlimited duration, multiple undo/redo, separate export of all layers, temposync and much more – perfect to accompany yourself "on-the-fly"! This device is similar to the Split module, in that it splits the signal path in two directions, thus allowing parallel effects. However, in this case, you can set a dividing line ("crossover point") in the frequency response, and send lower frequencies to one split and higher frequencies to the other split. 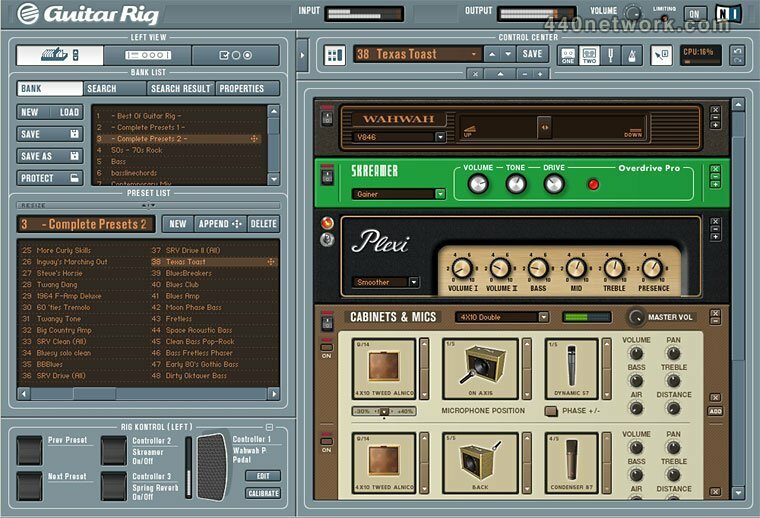 GUITAR RIG 2 now offers more than 100 additional presets/setups using the new components. The total amount of presets is now more than 500!